Here are the latest game updates for Star Wars Galaxy of Heroes. Enjoy! With the onset of Commander Luke Skywalker, Luke Skywalker’s name has officially been changed to Luke Skywalker (Farmboy). Retrace the steps of the legendary hero LUKE SKYWALKER from his humble beginnings on Tatooine through his daring escape from the Death Star. 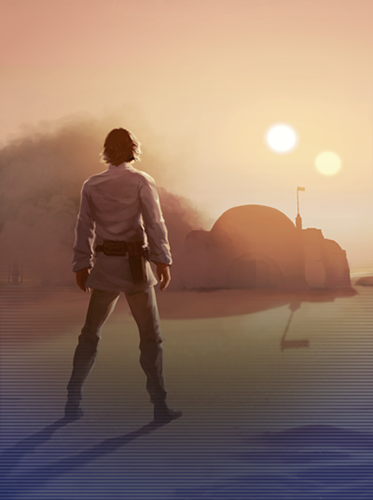 Fight alongside Farmboy Luke Skywalker, Stormtrooper Han, Princess Leia, Old Ben Kenobi, and R2-D2 to complete this six mission event and unlock Commander Luke Skywalker. Hard Node attempts have been Increased! For a limited time, Hard Nodes have had their attempts increased from 3 to 5. This change applies to both Light Side & Dark Side Nodes. Power up your A NEW HOPE characters with THE JOURNEY BEGINS bundles, featuring reworked characters with all new abilities and synergies, and the credits, training droids, ability materials, and gear you will need to get them started! With our newest game feature just around the corner, and @CG_TopHat offering a sneak peek of things to come, including Character kits exclusive to Territory Battles in his latest State of the Galaxy address, it's clear we're excited to share more about Territory Battles with all of you! Soon, all our Holotable heroes will embark on an epic, multi-phase battle, pitching the entire collection of characters and ships of every Guild member against a progressively challenging, living battlefield! Work collaboratively with your Guild to bring over 7,500 units into battle. Participate in new gameplay like Platoon Missions, which unlock special abilities, such as the Ion Cannon, to turn the tide in your favor. Count Dooku's "Force Lightning" ability will no longer apply Stun/Shock through Foresight. Under General Veers lead, Fulcrum Ahsoka will no longer gain Offense Up when she uses Meditate.